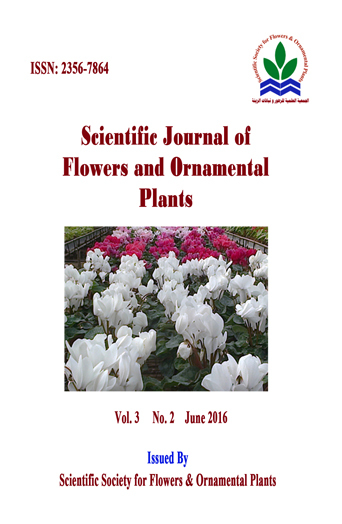 In the present investigation, the antifungal activity of essential oil emulsions and nanoemulsions of sweet basil (Ocimum basilicum L.), marjoram (Majorana hortensis Moench), peppermint (Mentha piperita L.), spearmint (Mentha spicata L.) and thyme (Thymus vulgaris L.) were evaluated against Fusarium oxysporum isolated from infested cumin and geranium plants. Essential oils were obtained by hydrodistillation and analyzed by gas chromatography. The nanoemulsion was formulated using the essential oils, non-ionic surfactant (Tween 80) and water by ultrasonication method for 30 min and characterized by particle size analyzer and transmission electron microscope. Essential oil emulsions were prepared as mentioned above without sonication. The transmission electron micrograph showed that the essential oil nanoemulsions were spherical in shape and moderately mono or di-dispersed. The droplet size was correlated well with the results obtained from droplet size analysis showing that droplets are present in the nanometer range, with particle size of less than 100 nm and were stable after 3 months of storage under room temperature (27 °C). Four concentrations of the emulsions and nanoemulsions were used to evaluate the anti-fusarium activity in vitro. The results showed that maximum inhibition against Fusarium oxysporum. f.sp. cumini was resulted by thyme essential oil nanoemulsion and emulsion at 2000 ppm and sweet basil essential oil nanoemulsion at 4000 ppm. Also, maximum inhibition against Fusarium oxysporum isolated from geranium plant resulted by thyme essential oil nanoemulsion and emulsion at 2000 ppm. All essential oil nanoemulsions exhibited higher activities compared to emulsions against fungal growth at all concentrations. Treating cumin seeds with each of the concentrations of essential oil emulsions did not affect germination, while seed germination percentage sharply decreased at high concentrations of nanoemulsions treatments. The results suggest the potential effects of thyme and sweet basil essential oil nanoemulsions as novel fungicide agents against Fusarium spp.